Support for a planning application for an aerospace and technology further education college in London. 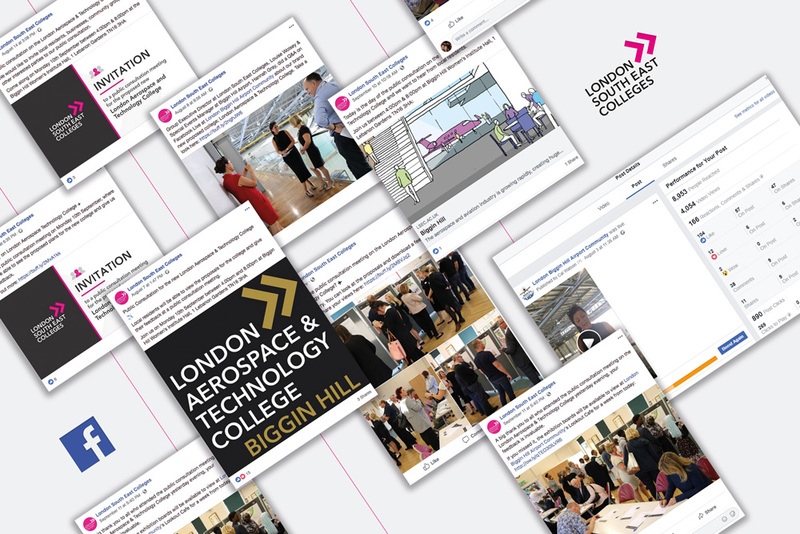 London South East Colleges (LSEC) appointed RONIN to support a planning application for its proposed London Aerospace and Technology College, delivered in partrnership with the GLA and London Biggin Hill Airport. 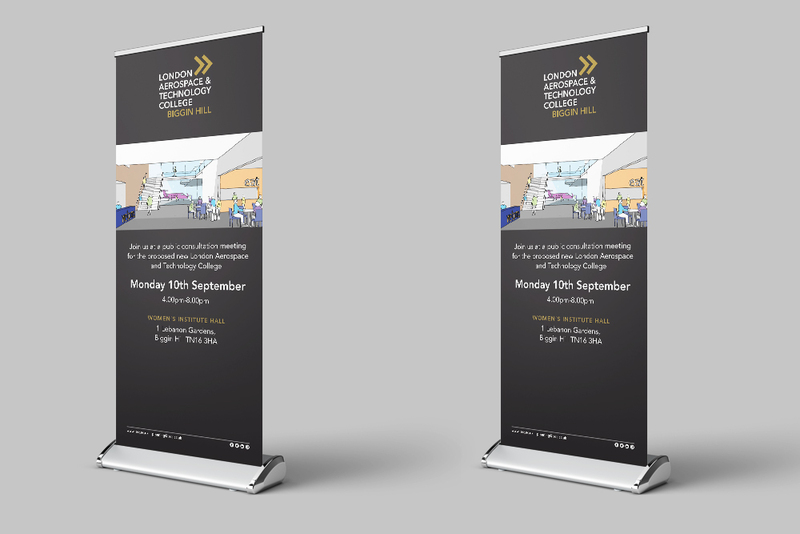 This required digital and print advertising, public relations and social media campaigns to promote the proposals for the new college within the local community and among local stakeholders, as well as event organisation and management. 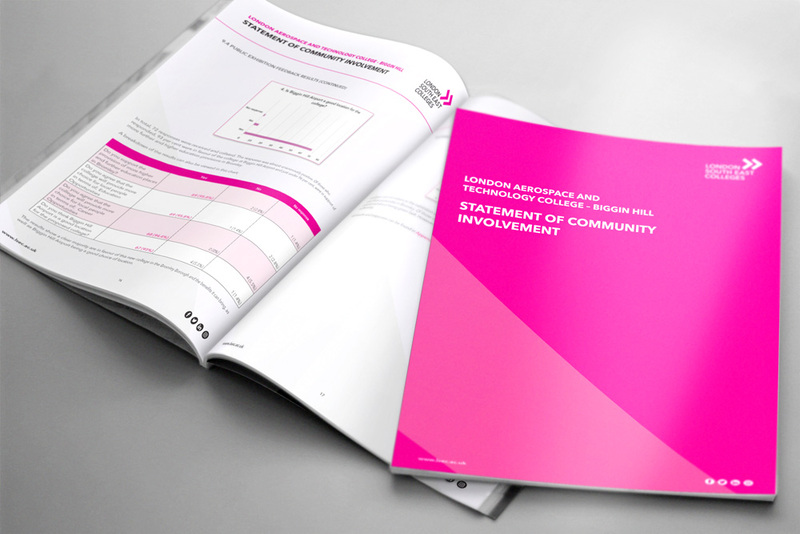 Following an extensive public consultation programme, RONIN was prepared a detailed ‘Statement of Community Involvement’ as a fundamental part of the college’s planning application. 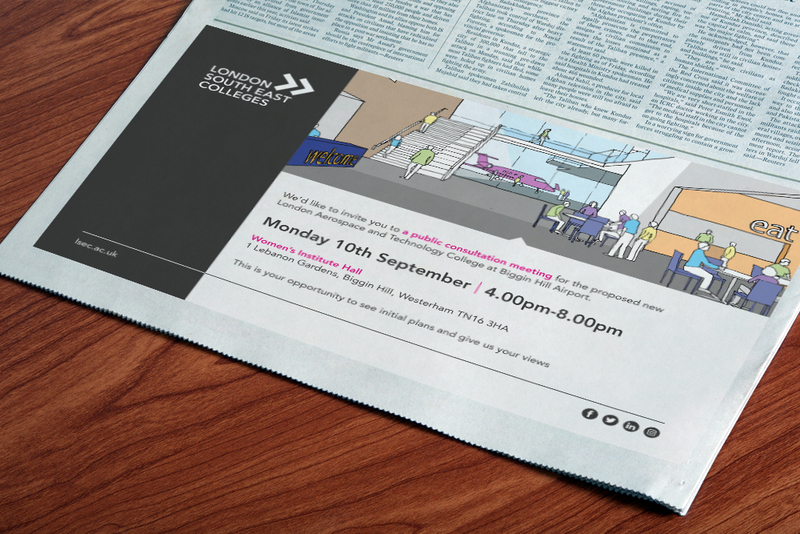 A range of print design and content marketing to support all aspects of the public consultation programme. 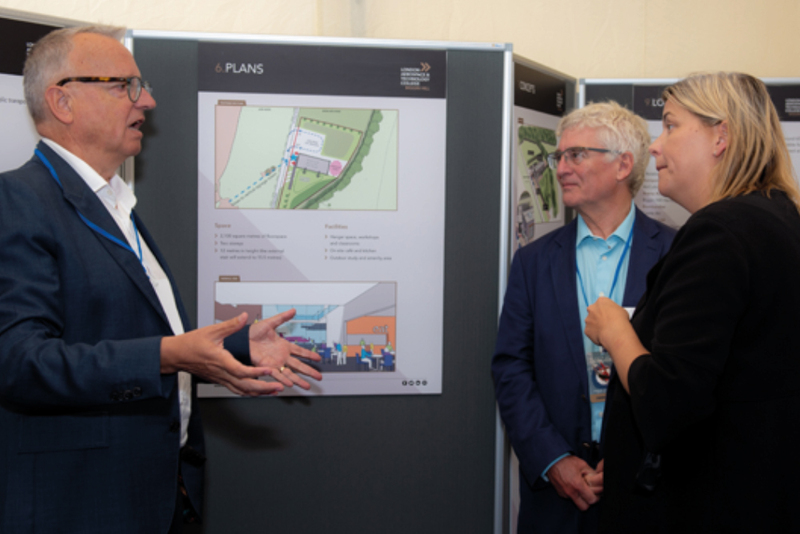 RONIN also sourced the venue for the public consultation exhibition and managed the event, pluys a focus group meeting for local politicians, residents associations, schools and businesses.